Modern balladeer, poetic,jim croce meets dylan and cohen. songs of our time, songs about us. "Talking To The Moon" is my first c.d., a mixture of my songs from the years leading up to 2006. That time saw many changes in my life, and this c.d. is a selection of songs written as a result of those experiences. They are not meant to be "pop" songs", more an attempt to paint some pictures, and communicate in some way,something of thoughts and dreams, and something of all those good and bad things that happen in life and love. might also talk to(and for) you. "A Couple Of Thieves" is about the way life's pressures steal away our time; "Sunflowers" is for those far worse off than us,"Prisoner Of Concience" is from that dark place where we sometimes find ourselves, and by contrast there is also the celebration of rebirth in "Down By The River". I hope to be able to record some some of my many other songs soon, so any purchases will be greatly appreciated; it all goes back into music, making the world a better place. A good song and an honest lyric are a comfort and a companion lifes journey; maybe one of mine might be a friend to you. 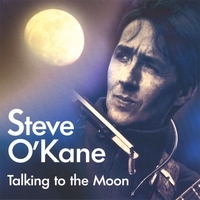 Visit my web site www.steveokane.co.uk to learn more, where you can also read some poems and lyrics, or www.myspace.com/steveokane, where there are up to date items, news of gigs, and even some new songs to hear, which will be on the next c.d. And then?? ………well, Keep in touch! email me if you like; be good to know if anything meant something special to you.